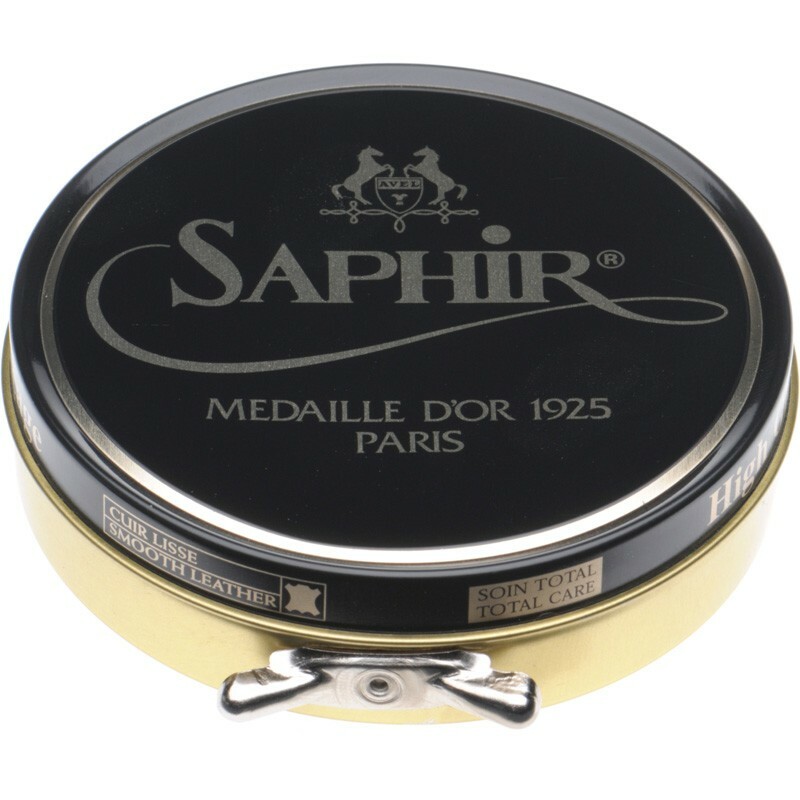 Saphir Graisse Dubbin is a fantastic neutral colour waxy grease made from mink oil that you apply to your leather shoes it they require waterproofing. Apply with a soft cloth, let it dry and then buff gently to get the shine back. Do not use on fine or hand finished shoes unless you are confident that the hand finishing will not be altered by applying the dubbin. It works best with solid coloured heavier shoes and grain leathers.